Since, as you already believe, the report clears President Trump, then the head of the FBI should announce that the Trump Admin has been cleared and then should describe and denounce the administration’s reckless actions just as James Comey did with Hillary Clinton. Can we agree that would satisfy you? 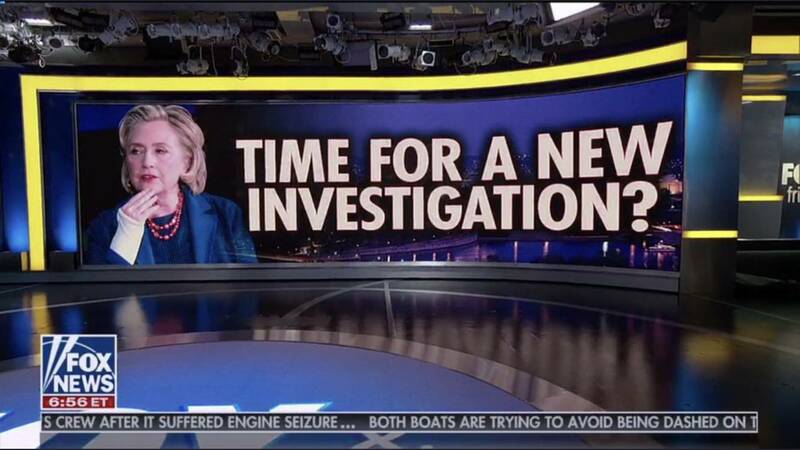 Yep…right after a special prosecutor investigates her and her actions to the same degree as Trump. You’re catching on and I’m proud of you. Since there are some really corrupt administrations in the past, this argument guarantees you’ll be able to brush away any criticisms of your boy. If the statute of limitations has not expired, this “corruption” you speak of should be prosecuted by the same laws that they broke. Are you starting to catch on to truth, justice and the American way? Thank you for that. I could not remember the outcome on releasing Starr’s report. But i have already said in another thread it should be released. You’ve changed your point of reference. We have had Republican Attorneys General for 26 months now. Why do you think no Special Prosecutor has been appointed in the Clinton matter? Why has no Republican Congressional leader called for a Special Prosecutor in the Clinton matter? What hasn’t Donald Trump called for a Special Prosecutor in the Clinton mater? Besides if you are looking for balance, let’s have a Special Prosecutor investigate Hillary Clinton’s email server, Donald Trump’s use of an unsecured I-Phone, Jared Kushner’s use of WhatsApp and Ivanka Trump’s failure to record her participation in government business. That would satisfy your request for equal justice. Why hasn’t a Special Prosecutor been appointed yet? I thought we trusted Mueller? Or was that only before he gave his final report and it didn’t result in an indictment of anyone for collusion? Because touching anything in that orbit would be seen as obstruction while the Meuller investigation was ongoing. All bets are off now. I’m guessing that Republican media pushes the Hillary narrative every day to excuse Trump’s words, actions and sins. And it appears to be working on average Republicans. I don’t want to here a peep out of them about Hillary personally. They control the Justice Department, charge her with something or give it a rest. By them I mean elected Republicans not the media. You called it. They want the supporting documents without any rebuttal or counter arguments. It’s one sided hit piece by anti-Trumpers/Pro Hillary attorneys. Hillary lost bro, get over it. Just emphasizing the entire investigation was for political show. They are self indulgent egocentric scum buckets of filth. Losing office would a far greater torture than anything else for them. Bro, she’s done. Time to put a fork in it. No one cares. Since Trump supporters are still obsessed with her, they assume the rest of us are as well. But, but, what about Hillary!! They can’t quit her. Expect this idiocy to go on until the election. On Fox and Friends this past Friday. They want their bought and paid for fbi dossier on Trump. What was the cost st last count$20-30 million? No collusion isn’t what we paid for. Political dirt was the goal all along.